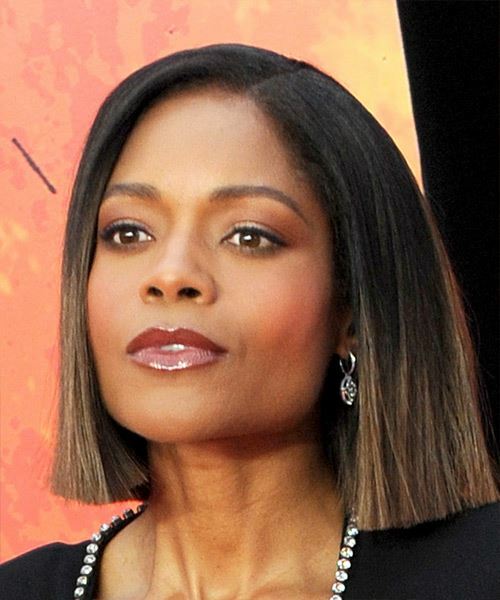 Naomi Harris' two-tone locks are cut just above the shoulders for a blunt finish and to frame the face. 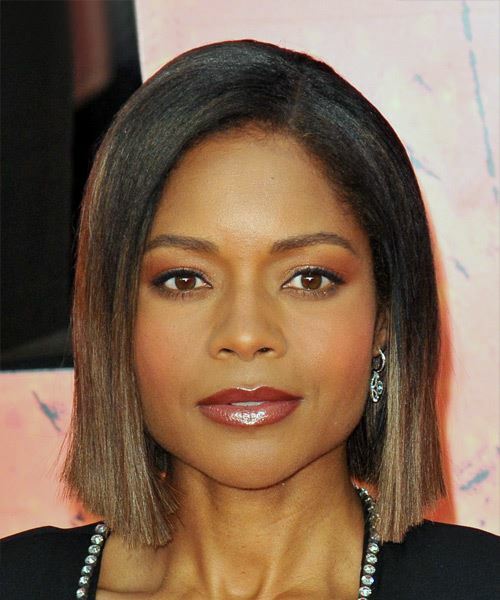 Ideal for an oval face shape, this striking hairstyle will turn heads at any occasion and is easy to re-create at home with minimal styling products and tools. 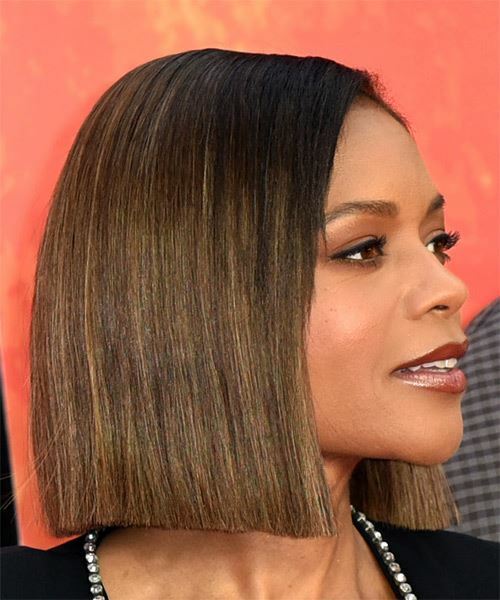 This hairstyle is perfect for ladies with thick, glossy locks that prefer timeless and elegant hairstyles that can be worn up or down.